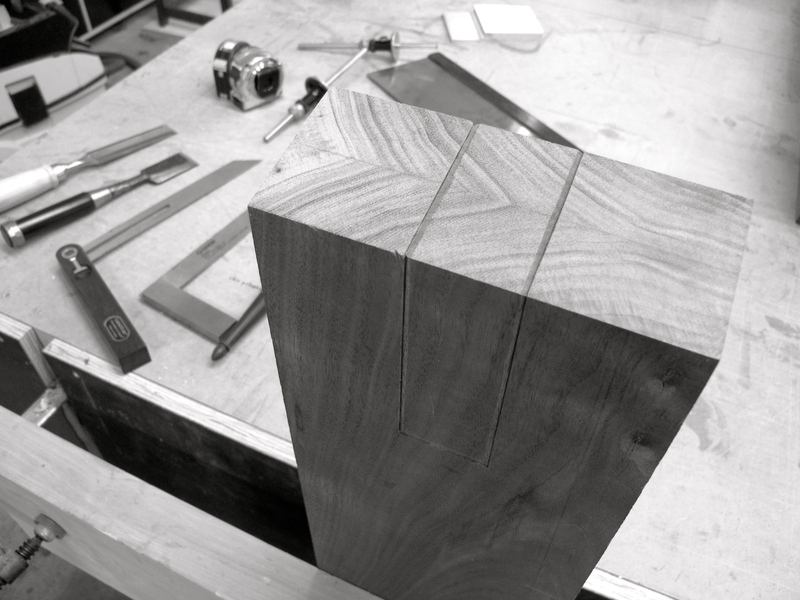 ← Fresh off the saw and plane. One part of having a good week is being able to return to the roots of the craft, and pull out the hand-tools to get the job done. Now I am no snob – I have a big investment in power tools, but I have benefited enormously from my dalliance with the old fashioned ways, and this week, history came to my aid – taking us where no power tool in our workshop could take us. This deeply saddled sliding joint is just too deep for any of the blades on our table saw, so even given $17,000 of technology (and that’s second hand!) my $250 handsaw rules the roost (Thanks Mark Harrell – all the hype is no exaggeration, your saws are the best.). So here’s what my eye sees. This line is established with a marking knife that cuts a v-groove with one vertical side which establishes the track for the saw blade… Then it’s just up to eye and confidence and puffing and blowing all the way to the bottom. As a complete co-incidence, my saw plate was the exact depth of this angled mortise. 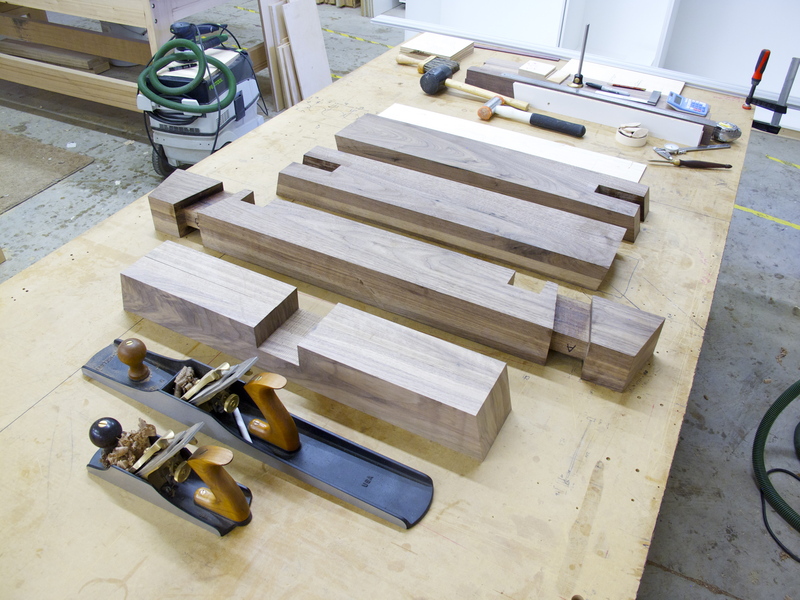 This entry was posted in Favourite images, Handtools, Tables. Bookmark the permalink.